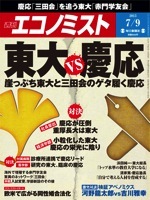 タイトルはIs the New England Journal of Medicine anti-science? What my correspondents can’t understand is why the journal won’t publish their letter when electronic space is infinite and free. Why can’t the journal have rapid responses like the BMJ and many other journals? Presumably the editors of the journal don’t want to overload their readers with what they see as ill informed criticisms, but want to present them with the quintessence of comment, beautifully edited of course. The editors of the New England Journal of Medicine must think of themselves as superior people (and they are superior to most of us, and certainly to me) capable of distinguishing truth from error, but could they be making a mistake?